Harmonise Retreat is designed to restore and detox your mind and body. By reducing stress and toxins naturally we tap into a state of harmony, this allows for greater clarity and creative flow. Over the 4 days we will dive deep into the practice and philosophy of yang and yin yoga, interwoven with pranayama and meditation. There will be time for knowledge, Q&A to enhance both your experience and understanding of how to live harmoniously. In between classes there will be plenty of time for local nature walks, a waterfall swim and rest. 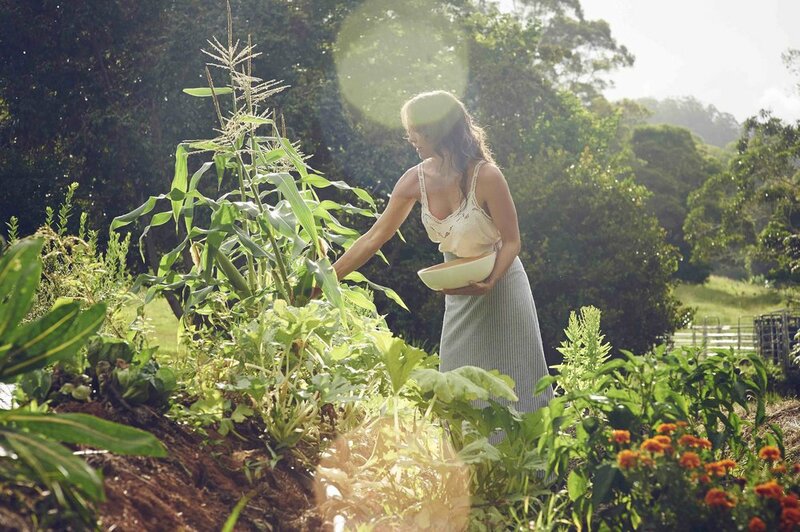 It will be fully catered with vibrant, organic farm-to-table meals, showcasing the farm’s best produce and local bounty of the beautiful Byron Bay hinterland. Harmonise Retreat will start on Thursday at 4pm and finish on Sunday at 2pm. It has been designed for both beginners and seasoned practitioners. Wybalena Organic Farm is a beautiful 140 acre property. It's private, serene and has a pristine environment making it a sanctuary for wellness. The Farm has architecturally designed accommodation, yoga studio, sauna and pool. Wybalena is also home to unique Australian Native produce such as Finger lime, Davidson Plum and Macadamia nuts. Some of this produce isn't found anywhere else in the world! They implement principles of sustainability by continually improving the fertility of the soil and sourcing our own food, practicing recycling and using renewable energy. The Farm is a short distance from Gold Coast Airport. Transfers to the Farm will take around 35 minutes via Uber or Taxi. A local mini bus can also be organised. 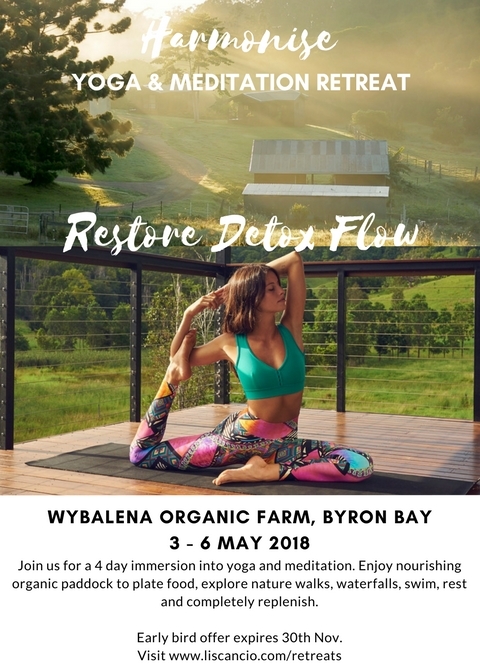 This price includes 3 nights accommodation, nourishing meals over the course of the retreat and twice daily yoga sessions. Massage, flights and airport transfers are not included in the cost. A non-refundable deposit of $250 is required to book.